Promotional note pads customized with a custom flood coat on the top of each sheet. 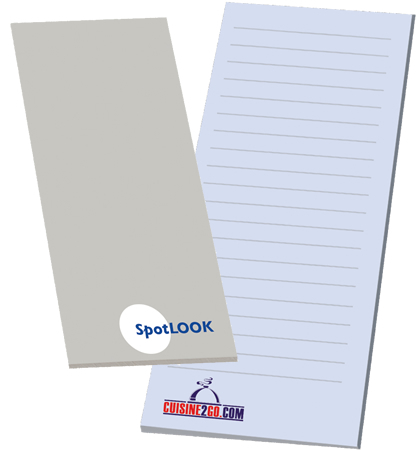 Customize your promotional note pads for business with this option at no charge. We recommend a 30 percent of color flood coat for best background appearance. Please note that custom flood coats can change the shade of logo or advertising print.